Thinking about Organizing Your Community? 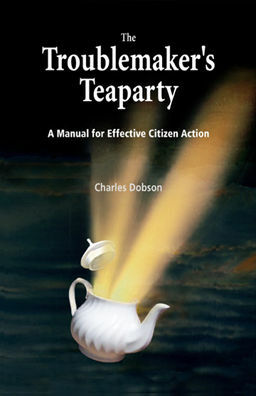 This section provides a do-it-yourself guide to grassroots organizing. It focuses on horizontal engagement, between people who are equals, particularly people who share a common place such as an apartment building, city block, or neighbourhood. Most of the material also applies to vertical engagement, between people who are not equals. Organizing is the process of bringing unconnected people together to work toward a common objective. Before you can do-it-yourself you will have to learn-it-yourself. Learning is actually the easy part; just follow the practices recommended in the Handbook, modifying them as necessary to fit your particular situation. The big problem is resources, particularly time. Organizing a block or two to address a local problem is manageable for one or two people. Larger areas and difficult problems can take over the life of a do-it-yourself organizer. A paid, experienced organizer can help when the task is to pull citizens together quickly or in large numbers. A paid organizer may be the only option when there is no one who is able or willing to take on the task as a volunteer. Paid organizers are often needed for low-income neighborhoods, seniors groups, and ethnic minorities. Paid organizers often begin by gathering information on the neighborhood, then proceed by introducing themselves to residents, bringing people together in discussion groups, building self-help skills, and, finally, training new leaders to take over the organizing task. Many organizers will door-knock in order to ask a carefully constructed set of questions aimed at motivating people to get involved. Questions may help people see that something is very wrong. Or they may help people realize they have been mistreated. In the end the organizer has to give people the confidence that they can solve whatever problem they face. The presence of a professional organizer may lead some volunteers to wonder why they are working for free while someone else is being paid. A few groups have addressed this problem by turning funds for an organizer into honoraria for volunteers. Finding an organizer might be difficult. In the United States there are many training programs in community organizing. The Industrial Areas Foundation, The Midwest Academy, Antioch, ACORN, and The Highlander Center are some of the better known. In Canada, there are almost none. Canadians' faith in government has placed decisions about their communities in the hands of politicians and professionals. Most of the organizing methods described in this chapter will be easy if you have resources, particularly money for a coordinator. But some of them will not be possible if you have no resources. Most of the literature on community development is far too optimistic about what can be achieved by all-volunteer groups that are not propelled by a hot issue. focus on a single short project with concrete results, or on a single long project with good potential for concrete results "along the way." The best advice is to think like a cook. When trying a new dish, the best cooks don't follow any recipe precisely. Instead, they look at a number of related recipes, then figure out a course of action that makes use of the ingredients and time available. You should treat any recipe for community organizing the same way: as a malleable guide for future action based on past experience.